Iconic Christchurch store Terra Viva is a veritable mecca of all things Christmas, between the garden centre, the inspiring home and giftwares department, and the fully-licensed café. Metropol catches up with Terra Viva’s effervescent Peter Worsp about what we can expect to see decking the halls in 2018. Terra Viva Home & Garden has made a quantum leap from the ‘good old days’ when Christmas decorations were all about Father Christmas and always in red velvet and gold. 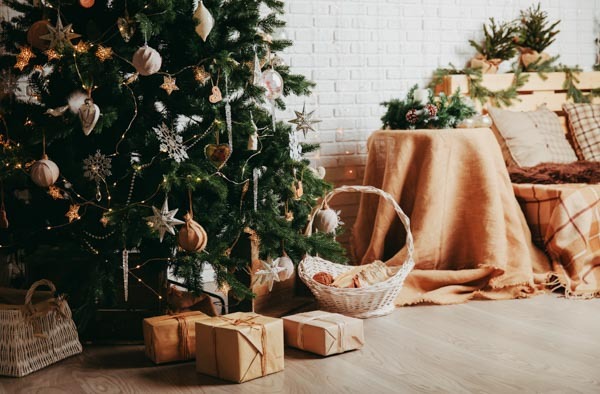 Contemporary Christmas decorations have a great New Zealand look and, because they don’t have a strongly specific Christmas design, they’re multi-purpose and can be used all year round. There’s a definite move away from the short annual outing for three weeks at Christmas – makes a lot more sense! Even the Christmas trees themselves are quite different, with LED/seed lights, and the most popular line is the white or black stemmed lit trees which give a simply superb look all year round. Combine the soft glow with candles and tealights, and double the effect by placing them in front of a mirror. LED/seed lights/fairy lights are the quick and easy way to create a festive glow, so coil them into glass vases with green foliage, or artificial flowers, and there’s an instant table decoration. A small wreath of foliage around each jar, artificial or real, adds the finishing touch. The contemporary colour themes focus on soft mossy greens, greys, natural wood, cream, vintage-effect paint finishes with silver or glittering glass to enhance and contrast. The stars this year are the appealing little felted unicorns, mice and dogs dressed in ballerina outfits – little skirts etc – along with the ceramic animals. Their cuteness appeals strongly to children, so use them all year round in shadow boxes. If you’re heading off to the bach for Christmas, check out the strong New Zealand coastal theme with shell hangings, and shell/bead/pearl cones for table centrepieces – these are decorations that will still look the part long after the festive season is over.